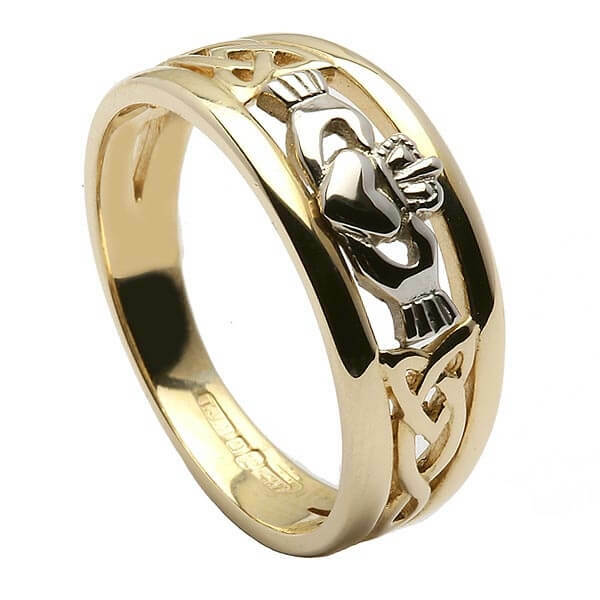 This elegant women's Claddagh ring has the ancient design smoothly set inside the band and also features beautiful Trinity knots to each side. 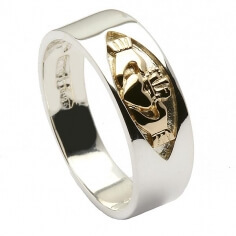 This is a stunning and unusual ring, handcrafted from sterling silver, with the Claddagh made from 10K yellow gold making a beautiful contrast. It is also available in 10k yellow gold. Both versions will be hallmarked for quality by the Dublin Assay Office.